Judged Bike Show for 1988 and earlier motorcycles. Special classes for off-road competition bikes through 1988 plus choppers, bobbers and customs through 2017. Enter your motorcycles and you might take home an award. Saturday Bike Show judging will result in nearly 40 awards for owners of the best machines, including best original unrestored bikes for the Hagerty Motorcycle Insurance Preservation Award. Enter your vintage bike, street, competition, custom, even mini or bicycle, 1988 or earlier in the bike show. Bike show awards are sponsored by Motorcycle Classics magazine and Hagerty Motorcycle Insurance. New exhibit DIRT RIDING USA presented by J&P Cycles opens late May; Motocross, trials, enduro and cross country motorcycles from the golden era. BARN FIND permanent display area opens late May. The rusty, crusty and dusty motorcycles and parts you might find if you got lucky in your explorations about anywhere in rural America. Swap Meet with Parts, Memorabilia & Motorcycles; browse the swap meet or reserve your own swap meet space. Panel Discussion on Motorcycle Collecting where collectors and experts in the vintage and antique motorcycle world share their ideas and experiences. SAVE 10% at J&P Cycles! Show your Vintage Rally wristband at Checkout on June 10th at J&P Cycles and SAVE 10% on your entire in-store purchase. J&P Cycles is just a mile up the road from the Museum. Only valid the day of Vintage Rally. J&P Cycles will be open Friday and Saturday 9am to 7pm and Sunday 9am to 6pm. Tyler Shepard: aka Wheelie Wizard will be here to perform his family friendly entertainment show. Tyler has been performing all over the country for over 17 years. This year he will be performing three shows at the 7th Annual Vintage Rally at the National Motorcycle Museum, June 10, 2017. 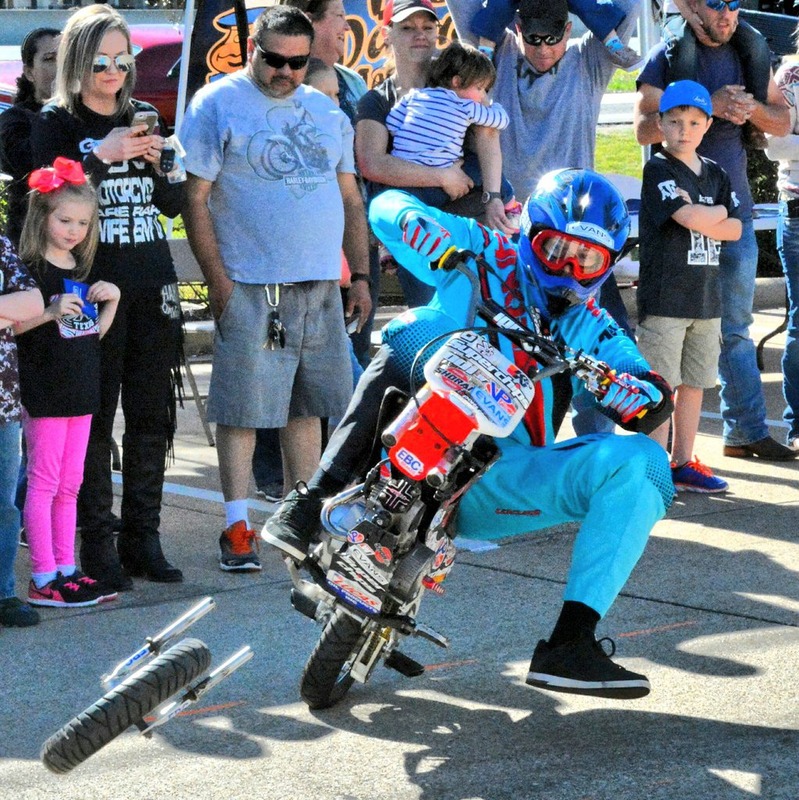 Come out and enjoy all of the Vintage Machines on display and take in the Wheelie Wizzard Stunt Show. Food vendors will be on the grounds and there are several local restaurants close by. Race into History with The National Motorcycle Museum’s Vintage Rally! 8am – National Motorcycle Museum opens: 450+ Motorcycles. 2:30pm – Dedication and Moment of Silence will be held during the Vintage Rally 2017 Bike Show Awards Presentation to Honor John Parham. 6pm – National Motorcycle Museum & Swap Meet closes.